Psychology is one of the top degree programs that students typically choose as a major. As a result, you’re not going to have much trouble finding a list of online degrees for this. This can be a good and bad thing. On one hand, you’ll have a long list of universities to select from. This, you’ll have a long list of universities to review. THIS can be a tedious and grueling process. The only silver lining out of all of this is that you know what you want to do. Imagine how large of a list you might have if you didn’t? You’d be combing through a database of colleges and universities forever! Luckily, you know what you want to study and that’s an accomplishment all on its own. Many students enroll undecided and don’t officially choose a major until their sophomore or junior year. But although you’ve already decided that you want to study Psychology, it doesn’t necessarily mean your problems are over. 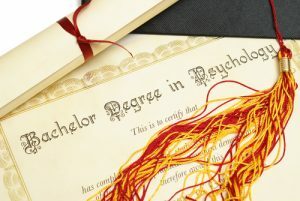 There are several Psychology degree programs that you can take 100% online, and hiring employers know this. As a result, they may tend to be a bit more selective in noting where you earned your degree. So you’ll need to be equally selective in choosing which college or university to apply to. Consider PayScale, a website that helps you determine what the average salary for a certain job might be. Many job seekers will refer to this website to get an idea if the salary the job offers is fair. In order to get the data, you’ll be required to enter information that will help the website determine how much that particular job should pay. For some reason, the site will prompt you into confirming whether you earned your degree online or not. This alone should tell you that companies are curious to know this type of information. This is not to say that this is a good or bad thing. However, it is worth noting that employers are taking notice. With that in mind, students need to be all the more selective in choosing the right kind of college, one that is respected and most importantly accredited. 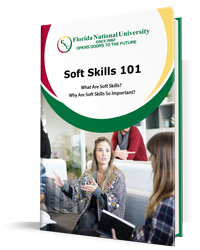 It is only through these types of institutions that you’ll earn a quality education and get more out of a Psychology degree than you thought was possible. Learning the psychology behind human behavior can yield great benefits in your professional career, or just as a doctor, but as a working professional in any field. A great deal of your success will be contingent on how well you’re able to work with other people. The human personality can be a complicated thing. What might be offensive to some people might not be to another. This is all based on an individual’s social and cultural background. While living in their own communities amongst their own families, it might not be a big deal, but in the workplace, not so much. The workplace is neutral territory. Everyone must be conscious of being politically correct as to avoid any offenses or worst, lawsuits. When you’re on the job, it’s imperative that everyone remain as civil as possible—whether you like that person or not. At your job, personal feelings must be set aside. Everyone’s goal there is to make that company successful and whatever role each person plays is critical to the other, whether it’s direct or indirect. So what does Psychology have to do with this? Everything! How you treat someone is going to have an impact on how operations flow in the workplace. Again, you don’t have to like that person, but as a professional, it is your duty to understand him or her so that you can successfully communicate with one another. And having a solid knowledge of how Psychology works is going to help you get there. The Bachelor of Science in Psychology offered at Florida National University (FNU) will teach you the fundamentals on Human Growth and Development. This course alone will equip you with a better understanding on the social, emotional, and intellectual counterparts of a person. When you work with a person, you tend to learn more about them—their past, present, and you learn his or her work habits. Everything about him or her is going to give you a better understanding of what makes that person tick. You’ll be able to apply the concepts of early, middle, and adulthood theories to that individual. Equipped with that knowledge, you’ll be more successful in working in a harmonious environment. FNU, a regionally accredited University located in the South Florida area, offers a Bachelor of Science in Psychology completely online. This degree program requires you to complete 120 credit hours in order to graduate. It takes approximately 60 months to complete with tuition and fees costing roughly $68,850. Books and supplies will run about $4,000. If you live in the South Florida area, you also have the option to come to either our Miami or Hialeah campus to enroll, and if you want, take some courses on campus. So, whether you want to earn your Psychology degree 100% online or take classes at any one of our campuses, consider FNU. Call and speak to one of our advisors today, or contact us online.